Last weekend we had the best provincial result (Afdeling 8/GOU, over 2,000 fanciers) from Bierges at the loft of W. & F. Ebben. 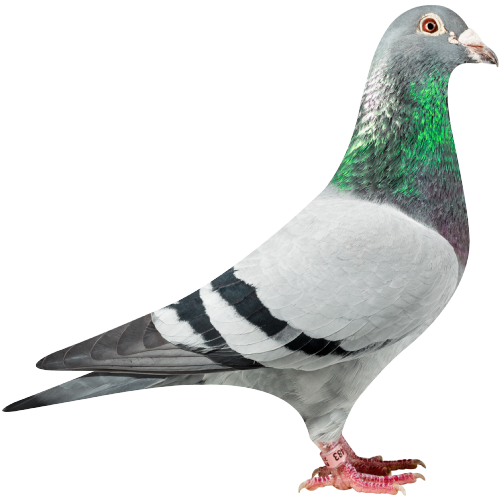 Against 3094 pigeons we won: 7-19-21-25-59-62-73-75-77-80-81 and so on. We entered 20 pigeons and won 15 prize cards 1:4 (75%), 13 prize cards 1:10 (65%) and 4 prize cards 1:100 (20%). On the loft of W. & F. Ebben we also had a good result, 18 prizes out of 30 entered pigeons starting with 16-20-32-82-86-99 against 3094 pigeons. In our club we won 1 untill 17 vs 106 pigeons (both lofts). 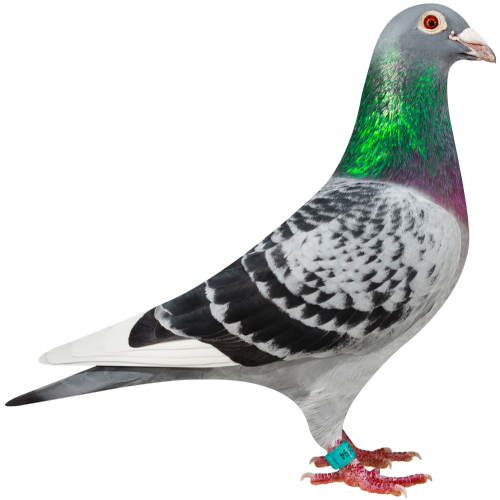 The first pigeon is a child to NL12-1355632 'Hannibal' x NL15-1875429 'Katja'.